Subtle agendas and casting choices may send “Doctor Who” on a radical new course. Some fans want to jump ship, and I reluctantly feel the same. 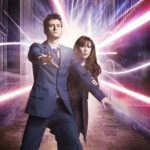 After this year’s “Doctor Who” Christmas special, “Twice Upon A Time,” I feel like this series is not simply regenerating again, but actively ending to be replaced by another series. Am I being a stubborn, impossible-to-please and possibly story-idolatrous fan, like some (but not all) nitpicking critics of Star Wars Episode VIII: The Last Jedi? Do I tire of the sexual revolution agenda moments? However, Whittaker’s casting doesn’t necessarily strike me as some intentional agenda intrusion. If anything, the “Doctor Who” universe has trained us to expect weird body transformations, not at all limited to the Doctor’s own regeneration. So this does not strike me as a promotion of transgenderism—although some activists may interpret it as such. Would I prefer the Doctor remain a man? And no, you’re not a “hater” if you simply want women characters to stay women and men characters to stay men. No one need repent for that. I don’t want “Wonder Man” or “Avatar Kor” or “Ray” or “Black Widower.” And I don’t want a female Doctor either. It’s that simple. However, and partly based on Thirteen’s quick introduction in “Twice Upon A Time,” I’m guessing “Doctor Who” will simply proceed as if the Doctor is the Doctor. Stories may not even draw a sharp contrast between this female Doctor and the previous male Doctors. But in that case, why bother casting the Doctor as a woman at all? It just feels like stunt casting. And unfortunately in our universe, this casting happened after years of pressure—some of it plain political pressure, not in-story pressure—for “Doctor Who” to cast a woman as The Doctor. (In 2013, I explored this pressure, especially after Capaldi’s casting, in Attack Of The ‘Cast A Woman Doctor’ Critics.) In this world of identity politics, once you’ve gone there and even seemed to let social politics run the show, instead of story needs, there will be no end to the repeated calls for particular belief systems to supersede the story. 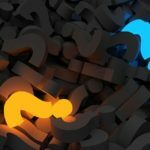 Do I trust the new showrunner? Finally, in a word, I’m not entirely sold on Chibnall as the new TARDIS/Time Lady architect. Chibnall’s previous “Doctor Who” stories have been okay, but not remarkable. He wrote “42” in series 3, “The Hungry Earth” and “Cold Blood” in series 5, and “Dinosaurs on a Spaceship” and “The Power of Three” (probably his most lackluster story) in series 7. I understand his work with other shows, especially “Broadchurch,” has been universally praised. He’s also a longtime fan of “Doctor Who,” so his “fan credentials” aren’t in doubt. But it really does come down to story. And while Moffat has his “too clever” and paint-the-story-into-a-corner moments, he does boast an incredible pedigree of genuinely awesome stories for “Doctor Who.” His two-parter “The Empty Child” and “The Doctor Dances” (series 1) alone sold me on this weird series. With these stories, I introduced my future wife to the show and won her to the fandom I’d recently joined. 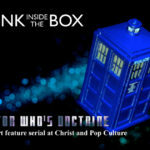 Since then, we—like many fans—have used Moffat’s standalone “Blink” to introduce others to the series. 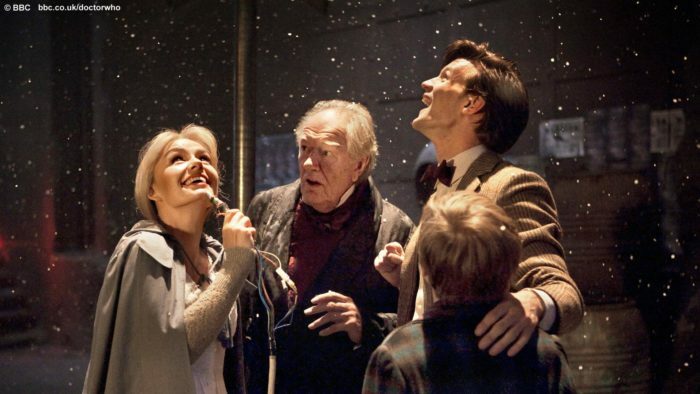 Moffat proved he could handle at least one captivating series-long arc in series 5, which ended with perhaps the best “Doctor Who” Christmas special (the first to feature a real magical snowfall), and more recently wrote the fantastic story “Heaven Sent” near the end of series 9. And the recent Christmas special marks a surprisingly quiet high point for the series, and a tribute to the truth that “Doctor Who” often works best when it’s minimalist. If Moffat had cast a female doctor, I would have still felt ambivalent about the character’s too-far reboot, and annoyed at potential stunt casting. But I would have tried the series anyway, just in case, feeling sure his stories would have fun with the change, not ignoring gender differences, but poking fun at and celebrating gender differences. That’s all theory. And it’s based not in fact, but in feelings—legitimate feelings. I have positive feelings, which can’t be separated from more than ten years of overall good memories of “Doctor Who” under showrunners Russel T. Davies and then Moffat, with many good stories between and under them. Unlike some fans, I haven’t felt nearly as disenchanted with Moffat’s recent stories or the Twelfth Doctor. I’m not ready for a big Change, any Change, just so “Doctor Who” will no longer be run by that scallywag Moffat. And I have legitimate negative feelings, because I don’t know and (benignly) cannot trust the new showrunner. He hasn’t wowed me with his stories; he hasn’t provided a good reason for a female Doctor other than (paraphrasing) “it’s time and this is Progress and et cetera.” Those simply aren’t good reasons for me. I always want to put story and characters first, and with some exceptions, I’ve felt the first two showrunners did just this. So ultimately I’m ready to suspend my “Doctor Who” viewing, not just because I don’t prefer the character turning female, and not just because I (benignly) can’t trust the new head writer—but because it’s no longer the same show. To me, it feels like “Doctor Who” is dead; long live “Doctor Who.” And with that, it crosses the top of my “world quota”—the maximum amount of fantastic created worlds I can keep up with. With so many stories around, I can afford to be selective. And when I feel a story is being driven, or potentially driven, not (mostly) by the story itself, but by other factors such as profit or social agenda engineering, I feel content and safe to stop watching. However, plenty of my friends, and many SpecFaith readers, are excited for the Thirteenth Doctor. I’m glad to wish the creators and those continuing fans all the best. I don’t want the series to fail. In fact, if reviews from trusted people show “Doctor Who” is excelling even with a female Doctor—perhaps doing some of the things I expected won’t happen—I’ll be happy to rejoice in its success. I may even revisit the show, and the topic here at SpecFaith. The Doctor Doesn't Believe in the Devil—Should We? I do feel like it’s going to be a brand new show. And it’s a shame, because Doctor Who IS my favorite show, and I feel like it’s ending and all I’m getting is a crappy spinoff. It took forever for me to warm to Matt Smith because it was such a restart to the show, but even then, I loved Moffat’s stories (like you, I was hooked on the show by The Empty Child/The Doctor Dances) so I trusted him as showrunner and loved the timey-wimey twists and turns. I don’t trust Chibnall at all. Broadchurch was excellent, but so drama-heavy it was sometimes a chore to watch (which I did because David Tennant). And all of the choices he’s made for Doctor Who have only made me mistrust him further. I hate that the show bowed to feminist politics and cast a woman as the Doctor, and while Jodie may be great, nothing about her Broadchurch role tells me she’d be a good Doctor (grieving Doctor? Yes, but fun Doctor? Nope.). If Chibnall had to pick a female actor from Broadchurch, Olivia Coleman’s acting chops are far superior. Casting 3 companions tells me a) Chibnall isn’t confident in creating a Doctor/companion bond, and is hedging his bets, and b) he’s trying to cover every possible diversity angle. 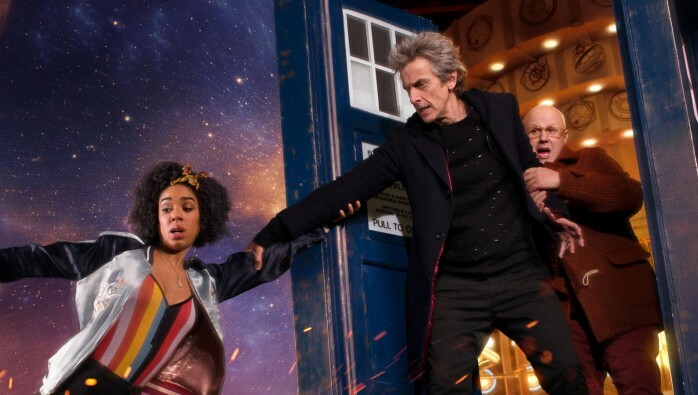 13’s outfit is hideous, and pulls in so many elements from previous Doctors that it seems to be shouldering the whole burden of reminding viewers that she is supposed to be the same person. And I just found out that Murray Gold, the show’s composer since the first episode of the revived series, may be leaving as well, which may be the deepest blow of all. I’ll still keep watching. But I’m viewing it with the same anticipation as I had for the spinoff Class – connected to Doctor Who, but not really Doctor Who. I’m pretty sure it will never be the show I love again. But I’m willing to be pleasantly surprised. 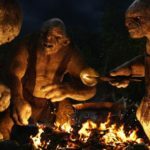 I just found out that Murray Gold, the show’s composer since the first episode of the revived series, may be leaving as well, which may be the deepest blow of all. This would indeed be even more terrible than any hard (-left?) reboot. * The soundtrack for “Mawdryn Undead” alone, for instance, is enough to make even the most ardent fan’s ears bleed. But I watched it multiple times anyway because of my enormous crush on Peter Davison, DON’T JUDGE ME. Oh dear. Very sorry to hear about Muray Gold leaving. That’s truly tragic. Regarding the three companions – that’s not at all unusual if you look back at the classics. It was quite normal for the older doctors to travel with more than one companion. The First doctor had three companions for most of his run (two at the end). The second doctor had two companions for a lot of the time. Th third had all of UNIT to work with. The fifth doctor had three companions for a lot of the time. Actually, this is what I’m hoping to get from Chinball – a return to the feeling of classic Doctor Who. I’ve heard a rumour he may even return to the serial format. That would be cool. I’ll give the new series a chance, just like I’ve given every new Doctor and showrunner a chance since I started watching Tom Baker’s Fourth Doctor as an eight-year-old. There have been Doctors I’ve loved even though the scripts didn’t always do them justice, Doctors I’ve strongly disliked and couldn’t stand to watch no matter how good the writing was, Doctors I started out loving and ended up really disliking, and Doctors I didn’t like much at first but ended up really appreciating by the end. Same thing with the companions and showrunners — some have been great, some just okay, some positively maddening. But that’s how the show works: it’s like the weather. If you don’t like it, wait a couple of years and it’ll change. For me it’s the premise of the show, the madman with a box travelling through all of time and space and dragging bewildered humans along with him, that makes the show magical and will always keep me coming back — even if I have to take a few months/years off and wait for the current Doctor or companion or showrunner to leave before I do it. I will admit, though, that I’ve always had a bit of a crush on the Doctor, so I selfishly prefer him to be reasonably good looking and male. I have no idea how I’m going to feel about a female Doctor until I see her in action, so I’ll just have to wait and see. My reaction has always been “I have no problem with a female doctor, but I have a problem with a gender-changing doctor.” To some, that may seem a very subtle difference, but that’s kinda where I sit. I think Jodie Whitacker has the potential to be a good doctor. She’s a great actor, who I’ve enjoyed on Broadchurch. Overall, I’ve been a fan of Moffat. He’s given us some absolutely brilliant stories. But, it does feel like a good time to had over to a fresh voice. I’m definitely willing to give Chinball the benefit of the doubt. I love Broadchurch, and I’d love to see him bring some of the serious dramatic tone from that show onto Doctor Who (although I suspect he won’t). I hope they don’t push a whole lot of transgenderism stuff through the new series. But as you point out, the show often pushes a very liberal view of sexual morality. So it’s something we just have to deal with if we want to keep enjoying other aspects of the show. Anyway, I totally get you wanting to move on. If a show is no longer what you want, there’s no reason to stick around. There’s pretty more fish in the … ah …. galaxy. 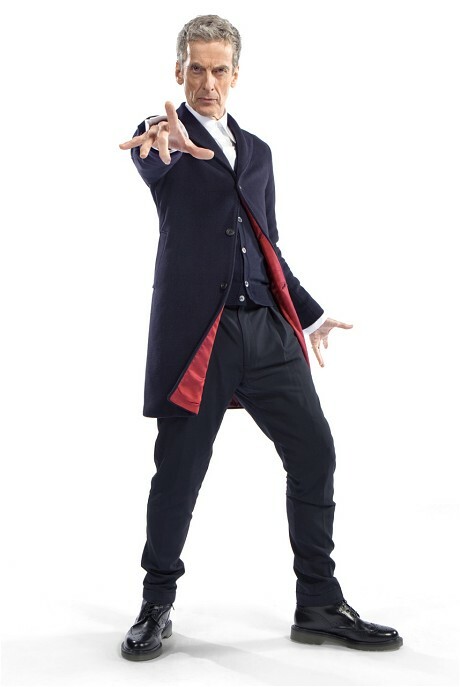 Honestly, I gave up on Doctor Who when they introduced Capaldi as the new doctor. I just didn’t like him as the doctor. And now with their subtle agenda pushing I think I will just have to enjoy my favourite doctors (Tennant&Smith) over and over again!